This steamed pomfrets are healthy as no oil is added to the dish. 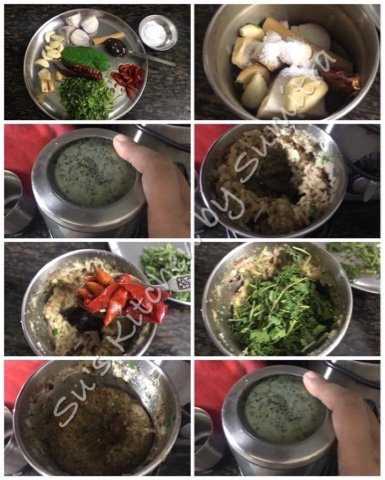 I have used Asian herbs and spices for the paste. 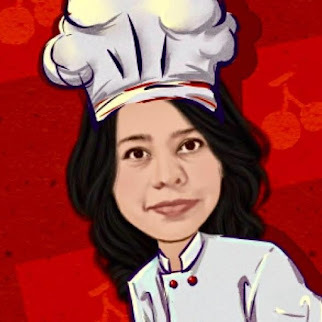 It gives a strong flavour and aroma to the dish. 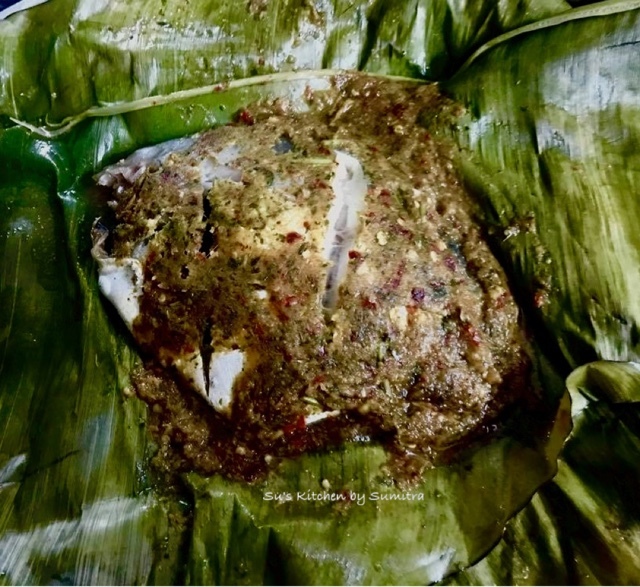 Serve this dish with hot steamed rice. Grind all the above ingredients into a paste. Apply the paste on the Pomfrets. Let it marinate for 30 minutes. Take 2 to 3 pieces of the banana leaves and arrange them. 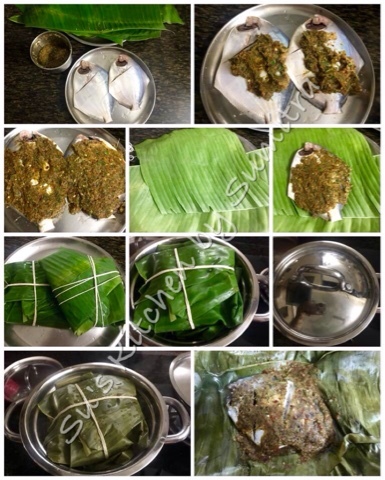 Place the pomfret along with the marination on the banana leaves and wrap the banana leaves from all the sides. Tie it with a string. Take a steamer. Place the packed pomfrets into the steamer and steam the pomfrets for 20 minutes. 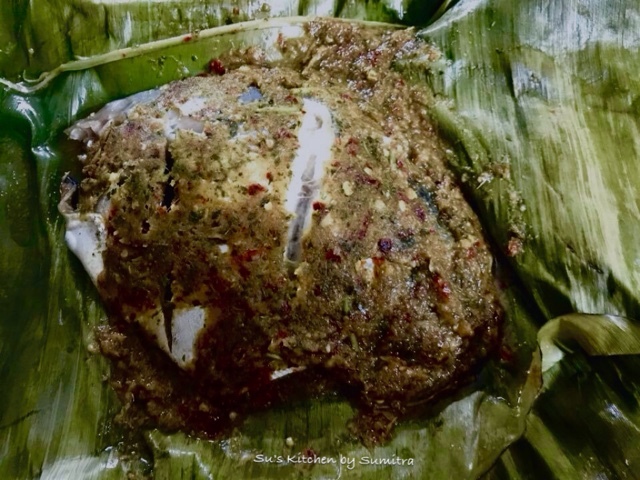 Before eating cut open the strings, open up the banana leaves and serve it hot with steamed rice.